Want to Teach at MIY Workshop? MIY Workshop has a reputation for being the best studio in Brighton to learn dressmaking and we’re looking for a freelance Dressmaking Tutor to join the team and maintain that reputation. The position initially is to cover existing tutor Zoe’s maternity leave from August 16 to March 17, however, there may also be the possibility of the position becoming more permanent for the right person. Want to join the MIY Workshop team and teach some fortnightly sewing and dressmaking classes to super keen and enthusiastic adult learners? Have you walked past MIY Workshop recently and seen the new window display? It’s full of embroidery and quilting hoops displaying abstract stitched canvases by local Brighton artist Michelle Abbott. The pieces are actually insults that have been used against people and I love this contrast of angry (often obscene) insults with the gentle art of hand sewing. I think rendering the insults this way takes all the anger out of them and almost neutralises the sentiments. “Beautiful Obscenities” questions the façade of domestic bliss and relationships. Do we ever really know what goes on behind closed doors? As outsiders do we ever really know what goes on in others’ relationships? What do you question when the love dies? Friends, family, strangers, the public have been asked to donate their insults – some anonymously, some singing them loudly. And surely there is no greater insult you could receive from your lover than being told that you’re like “Cold Porridge”. Using vibrant silk threads, hand sewn onto embroidery wheels these insults have been reinvented as beautiful bursts of abstraction. The comforting familiarity of sewing conjures up cosy associations of “Home Sweet Home” – aaahhh the cross stitch hanging by the hearth. Yet scratch behind this veneer of comfort and love and the more brutal reality of domestic bliss and relationships appears. The front portrayed to onlookers can often mask a harsher reality within – what really does go on behind the curtains. And when domestic bliss breaks down, what takes its place by the hearth? What words should replace “Home Sweet Home” when two people no longer share the love. Answers on a postcard please. 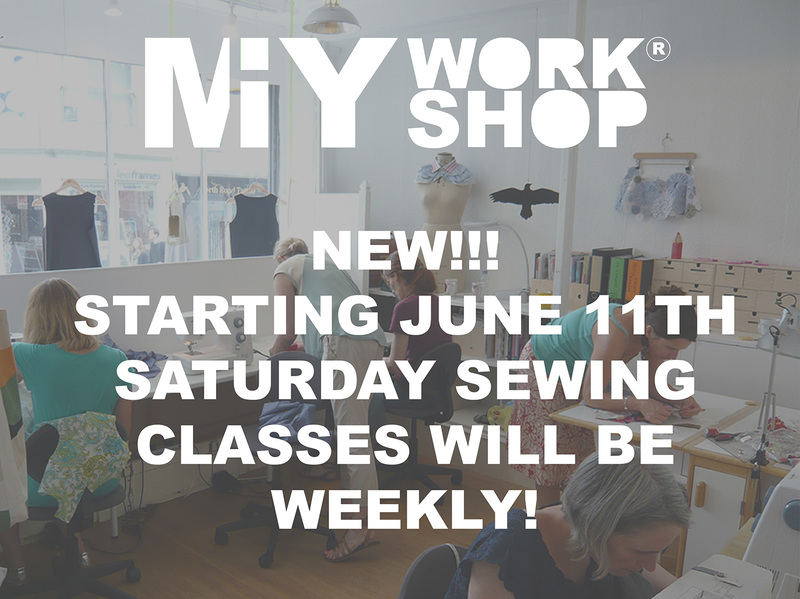 Saturday Sewing Classes – Weekly From 11th June!! 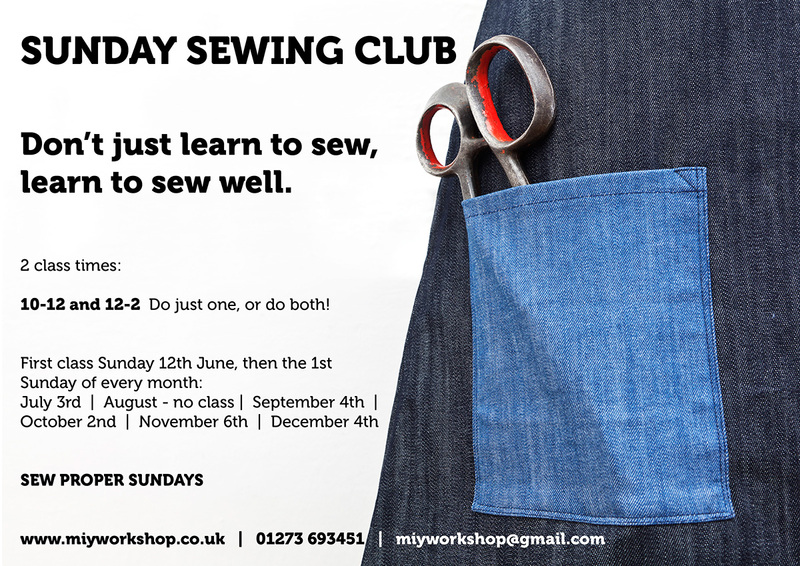 That’s right, you can now sew every Saturday at MIY Workshop. There are two sewing and dressmaking classes at 10am to 12 and 12-2pm every Saturday from 11th June. Who are sewing classes for? 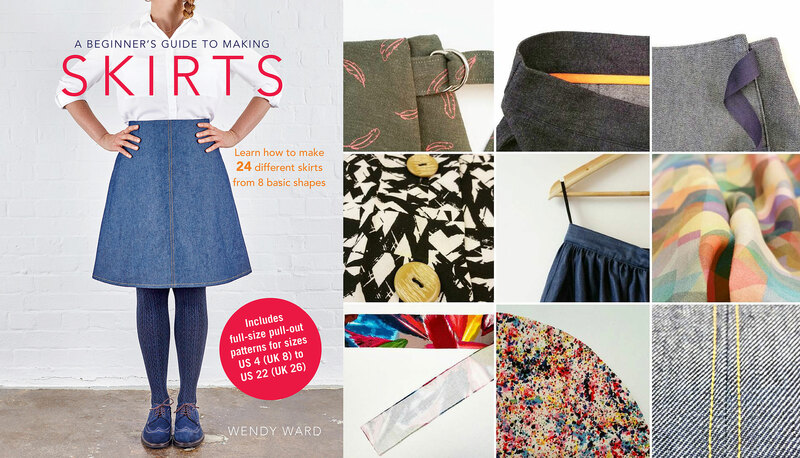 What can I make at sewing classes? Bring along your own pattern, a favourite garment to copy or learn how to do your own alterations. All MIY Collection sewing patterns and all patterns from Wendy’s bestselling book “The Beginner’s Guide to Dressmaking” are also available for students to use in classes at no extra cost. You can make clothes for yourself and your family, accessories such as bags and purses or cushions, curtains and other home furnishings. How much do the sewing classes cost? How many do I have to book? These classes can be booked in blocks of 4 or 10, or paid per class, giving you the freedom to come to as many or as few as you feel you need. 8 Weekly Class Times: Monday, Tuesday, Wednesday & Thursday evenings 6.30-8.30pm / Thursday & Friday mornings 10am-12pm / Saturdays 10am-12 and 12-2pm. Option 1 – pay per class at £35 each (must be booked and paid for in advance). Option 2 – £90 for 4 classes payable before the block starts. You don’t have to come on 4 consecutive weeks, however, your 4 sessions must be used within 6 weeks of your first class. Option 3 – £195 for 10 classes payable before the block starts. You don’t have to come on 10 consecutive weeks, however, your 10 sessions must be used within 12 weeks of your first class. Who teaches the sewing classes and how many people will there be in my class? All MIY Workshop classes are limited to just 5 people, ensuring you get plenty of one-to-one help from your teacher and no queueing to use equipment. Zoe Edwards teaches the 1st and 3rd Saturdays of the month and Wendy Ward teaches the 2nd and 4th Saturdays. Find out more about your teachers here. Just email Wendy Ward using the form below to book your place or ask any questions. With only 5 places per class make sure you book soon and don’t miss out! 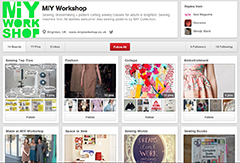 Read what previous students at MIY Workshop have thought of their classes here. 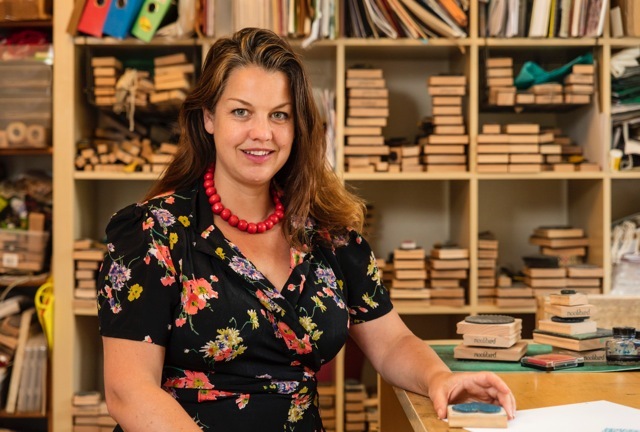 When booking blocks of classes you will receive a 10% discount card to use in Ditto; a great fabric shop on Kensington Gardens, just around the corner from MIY Workshop. There are lots of reviews from past students about what they thought of their classes at MIY Workshop. Have a read here. After many requests over a long time I’ve finally given in! Starting from Sunday 12th June there will be 2 Sunday time slots available for weekly sewing classes: 10am-12 and 12-2pm. You can book just one class or both and you can mix and match these sessions with all the other weekly classes (see full timetable here). 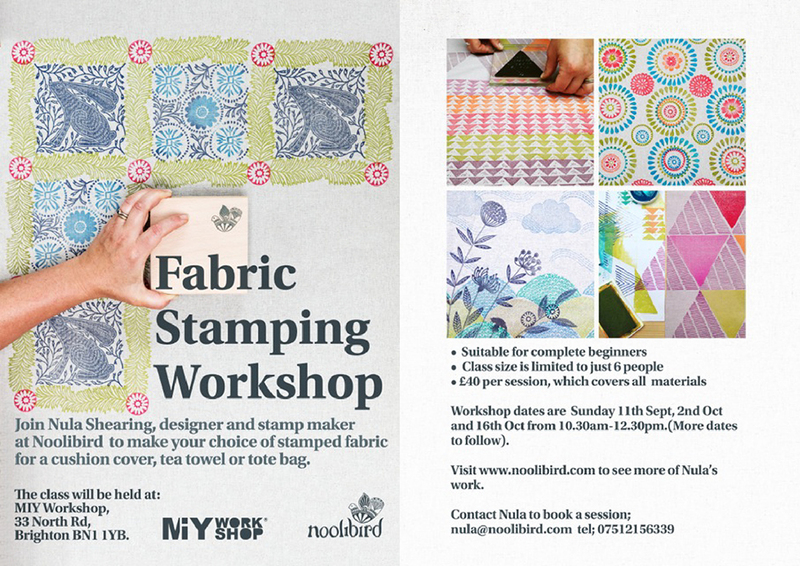 These classes will happen on one Sunday per month starting on Sunday 12th June. From July they will run on the 1st Sunday of the month. Prices are the same as for all the MIY Workshop Sewing and Dressmaking classes, ie. a block of 4 classes for £90, a block of 10 for £195 and single classes at £35. The only difference is that if you want to only do Sunday classes, you must do consecutive Sundays. As with all other MIY Workshop classes there are only 5 spaces available per class, that means I only have space for 10 people to do regular Sunday classes. You can work on your own choice of project at the classes and they are open to all levels of ability from absolute beginners to more experienced stitchers. The common theme whatever your ability is that I won’t teach you shortcuts, I’ll teach you how to sew well and I won’t just teach you the standard way to do things that you can find in any sewing book you pick up, I’ll show you my own techniques that I’ve developed over years of sewing and teaching. I’ve been sewing since I was 12 and pattern cutting since I was 16. I’ve got a 1st class degree in fashion, an MA and a teaching qualification. I spent 7 years working in the fashion industry (read a bit about that here) and I’ve been teaching adults to sew since 2007. 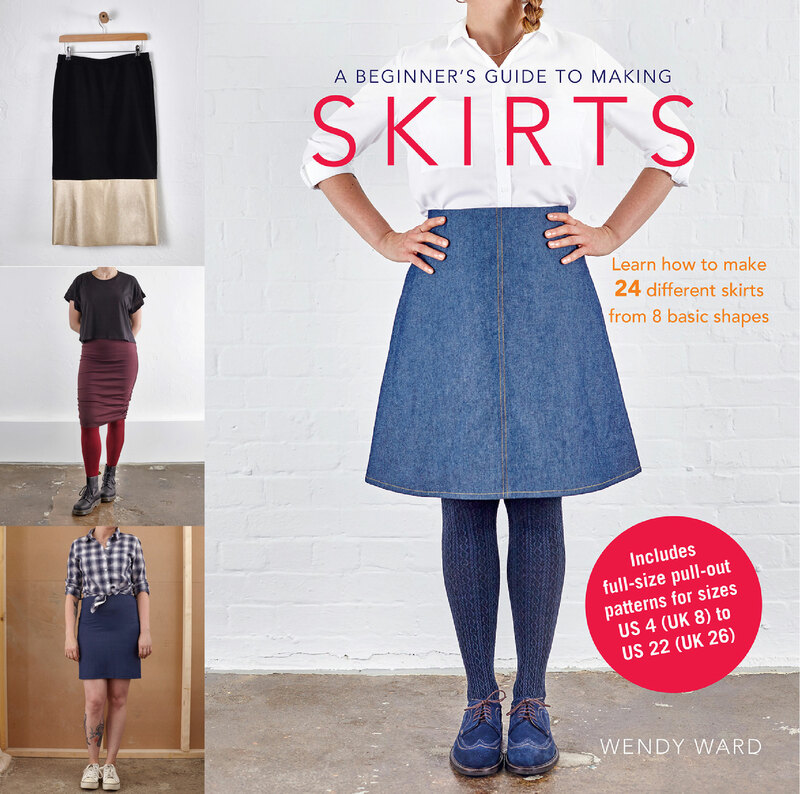 I also write a regular column for Love Sewing magazine, my first dressmaking book “The Beginner’s Guide to Dressmaking” which came out in 2014 is a bestseller and my second book “A Beginner’s Guide to Making Skirts” will be published this Autumn. So, you’re in safe hands! I’ll teach you how to sew well and make clothes to be proud of. But don’t just take my word for it, have a read of what previous students have thought here.